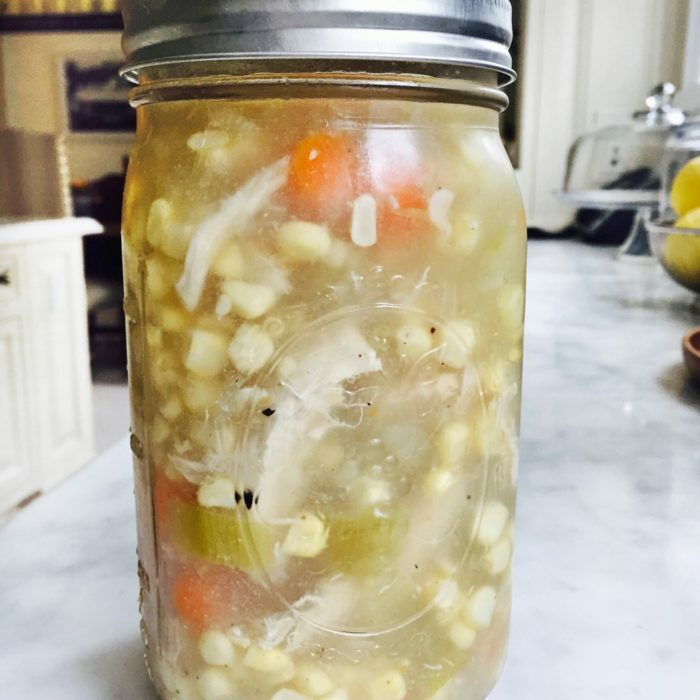 This is an easy and delicious carb free alternative to chicken noodle soup! Sauté the carrots, celery and onion with the olive oil for 5-10 minutes. Add the chicken and keep on cooking for an additional 5 minutes until the chicken browns a little, this will give so much flavor. Add the water, the corn cobs and some salt and pepper to taste. Bring to boil, then simmer for 15-20 minutes. Remove the chicken from the soup and let it cool a little. Removed the skin and bones form the chicken and shred it. Bring back to the pot, add corn kernels and cook for 2 minutes. I like it better when the corn is still on the crunchy side, so I barely cook it for 1 minute.